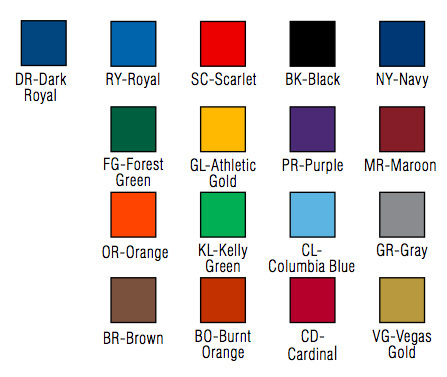 Bison offers 18 school colors and full-color graphics - Bison, Inc. 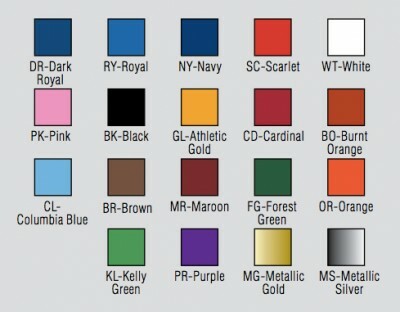 Single solid color, vinyl padding can be selected from the 16 colors at right. Product examples include: volleyball post and base padding, football post padding, T-Rex and other portable basketball padding, solid color wall or outdoor padding, solid color scoring table padding; wall, outdoor or scoring table padding background color with 1 or 2-color lettering applied. 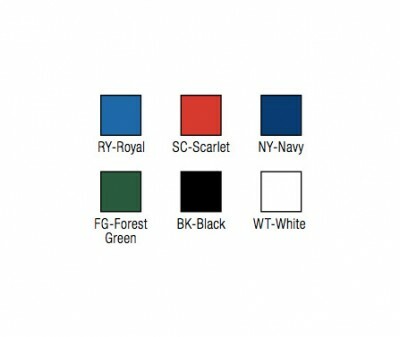 Add any one or two colors shown at right to print on solid color vinyl padding. See ABC50, ABC51, ABC52 and ABC53 for printing options. Select from vinyl colors on right to add custom lettering to ball carts, equipment carts and other powder coated steel sports equipment surfaces. See ABC92 for details. 4′, 7½’ and 15′ length aluminum seats and backs can be finished in any of the colors shown at right. While it is theoretically possible to print any color with our 5-color Sport Pride graphic printing process, refer to the chart on the right as a basic guide to color selection. Our graphic designers will work with you for a final color and design selection. Sport Pride graphic printing is available on gym and outdoor wall padding, scoring tables and some additional padding and banner products. 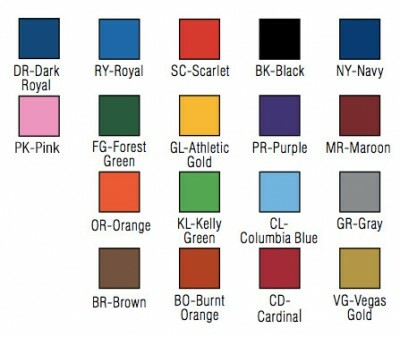 Inquire about custom color availability. Colors are a computer representation and may vary from the actual colors.